Fuel Cells Are Back in the News…Are They Here to Stay? A few years ago, the major car manufacturers were all bringing fuel cell concept cars to the auto show circuit. There was a lot of excitement in the press and amongst consumers. The environmental benefits and potential of having a car that achieved great fuel efficiency without the need for a long recharge was attractive. And then, suddenly those concept cars disappeared from the public eye. However, universities and car companies were still at it. One of the most interesting concepts is to use a hydrogen fuel cell as part of a hybrid electric vehicle. By utilizing a fuel cell, the hybrid would run clean even when it is not running on battery and fill up times would be comparable to a traditional car. By utilizing this range extender concept, the expensive and sizeable battery of a pure EV would be unnecessary which would dramatically reduce the cost of an alternative powertrain. Automotive IQ recently performed a market survey to determine whether the auto industry thinks fuel cells are viable as a range extender concept. 80% of respondents said yes. 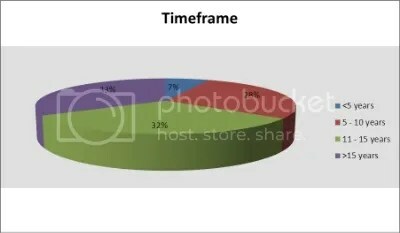 Below is a graphic representing the timeframe that respondents believe is likely for fuel cells to achieve a significant market share. To view the full results of our survey click here.